For the opening of its online shop, FATTOBENE presents a special product: SCATOLA N. 1, a journey into Italy's industrial heritage through five of its everyday icons. Here, even the most humble object can become a source of wonder. The reader is invited to appreciate Italian material culture through direct experience, first by reading the stories and then by touching the objects. 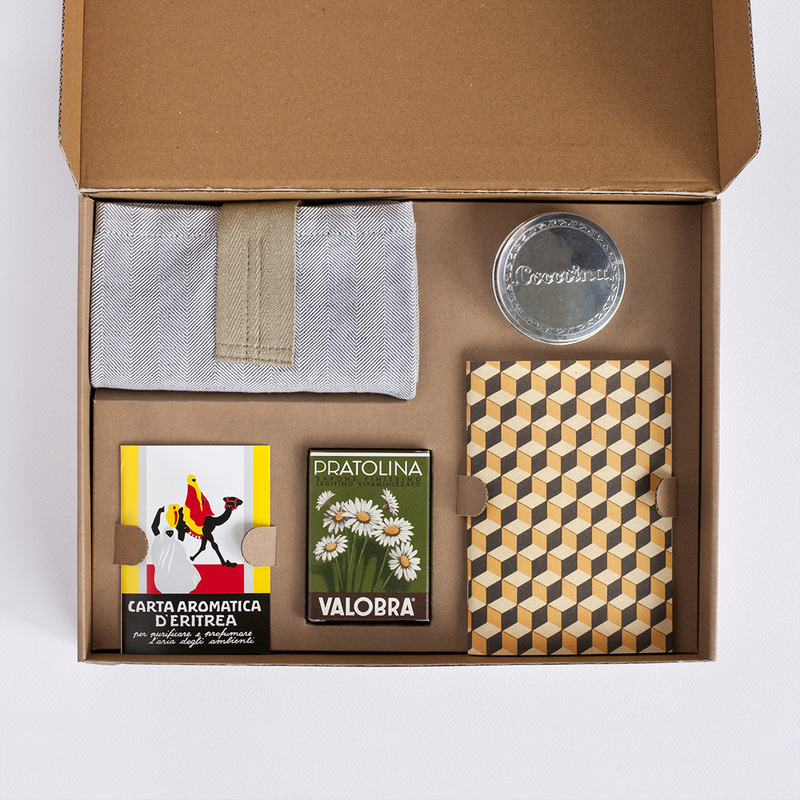 The objects selected for this first edition are: Coccoina glue, Eritrea scented paper, a cotton and linen towel from Lanificio Leo, the oldest mill in Calabria, a piece of Valobra soap, and a Tassotti Graphics’ notebook, made with patterned paper from Remondini's amazing archive. To mark the occasion, Pesatori Printing Press, active in Milan since 1949, will letterpress the complimentary postcards, while Scatolificio Italiano Spada, born in 1922 as a sawmill for the Milanese industrial district, realizes the packaging.